Salt Spring Island is a hive of activity in June - the Saturday Market is in full swing, the Tuesday Market is open for the season, farm stands are full of delicious foodstuffs and the lush greenery beckons visitors to enjoy the outdoor wonders the island offers. Celebrate the Summer Solstice and don't miss the opportunity to explore the surrounding Gulf Islands during the 4th annual Tour des Iles Festival! GISPA: Orpheus & Eurydice | Tuesday 5th to Wednesday 7th | 7:30pm to 9:00pm | Artspring: 100 Jackson Avenue | $15 | The Gulf Islands School of Performing Arts proudly presents Orpheus and Eurydice. Inspired by the Greek myth of the same name, Orpheus and Eurydice uphold GISPA’s signature fusion of music, dance, and theatre. Featuring unique choreography, composition and ensemble acting, Orpheus and Eurydice is not to be missed. Tuesday Farmers Market | Tuesdays: June 5th - October 30th | 2:00pm to 6:00pm | Centennial Park: Fulford-Ganges Road at Lower Ganges Road | Peruse the stalls and enjoy delicious locally grown varieties of produce (and preserves) from farms across Salt Spring Island at the Tuesday Farmer's Market! It's the sweetest time of year! Enjoy sweet succulent Salt Spring strawberries at farm stands (or the Tuesday and Saturday Markets) - a perfect way to celebrate the arrival of Summer! Find the perfect gift or something for yourself at ArtCraft - one of Salt Spring's best places to peruse the Island's unique arts scene, open June 8th to September 16th from 10:00am to 5:00pm at Mahon Hall (114 Rainbow Road). Enjoy the very best arts and crafts created by artisans of the Southern Gulf Islands! Gilbert & Sullivan’s HMS Pinafore | Saturday 9th | 7:30pm to 9:30pm | Artspring: 100 Jackson Avenue | $5-$20 | Welcome aboard the HMS Pinafore! Here we find the magic of Gilbert and Sullivan at its very best. With Gilbert’s cutting wit and many-layered plots paired with Sullivan’s inspired melodies which fit any lyric and any mood, it is easy to acknowledge this nautical comic opera as one of their best. Voices For The Salish Sea | Sunday 10th | 2:30pm to 4:00pm | Artspring: 100 Jackson Avenue | $13-$25 | Tiller’s Folly, The Wilds, the British Columbia Boys Choir and special guest Ta’Kaiya Blaney team up to present Voices for the Salish Sea, a presentation combining musical performance & multimedia. Our goal for Voices for the Salish Sea is to produce a series of affordable, family-friendly live music events promoting awareness, advocacy, and stewardship for the unique ecosystem that is our Salish Sea. Pitchfork Social: Slaid Cleaves | Saturday 16th | 7:30pm to 10:30pm | Bullock Lake Farm: 360 Upper Ganges Road | $35 | For over 20 years, Slaid Cleaves has spun stories with a novelist's eye and a poet's heart. A rootsy singer and songwriter who’s made his bed in the folk world, Cleaves grew up in Maine and lives outside Austin, Texas but tours much of the year. In 1992, he won the New Folk award at the Kerrville Folk Festival. Now, twenty-five years into his storied career, Cleaves’ songwriting has never been more potent. Celebrate Father's Day on Salt Spring with a tasty tour of the Island! Visit Salt Spring Island Ales to sample their finest beers on tap and grab a growler, pop over to Salt Spring Wild - purveyors of locally sourced and brewed hard apple cider, check out the new Salt Spring Shine Craft Distillery for vodka and gin, head over to Garry Oaks Winery, Salt Spring Vineyards or Mistaken Identity Vineyards to enjoy some wine tasting, grab a bottle and a walk through the vineyards and for your final stop, check out Salt Spring Island Cheese for some of Salt Spring's finest goat cheese! See whose new on the Salt Spring Studio Tour with fresh talent such as The Bubble & Squeak Soapery (soaps - shampoos - essential oils), Sacred Earth Temple (stones - herbs - art), Butterfly Pottery Studio (functional pottery - organic eggs) and The Turquoise Way – Fine Art Studio (books - art). Summer Solstice Celebration at Salt Spring Vineyards | Sunday 17th | 12:00pm to 5:00pm | Salt Spring Vineyards: 151 Lee Road | A kick off party to welcome the summer season with music by Jose Sanchez Cuban Party Band, wine, food and fun. Bring a picnic or explore food vendors at the vineyard. Paddle away! Rent a kayak (or, if you're up for a challenge, try a paddle board!) and set off from the shores of Salt Spring Island to explore the coastline or nearby Islands and Islets! Check out beautiful spots including Russel Island, Chocolate Beach (on Third Sister Island), Wallace Island, Prevost Island and many more! 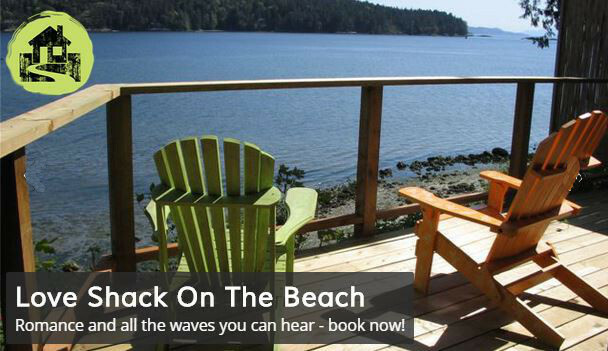 Choose your adventure amongst the beautiful southern Gulf Islands! Tour des Iles Festival | Friday 22nd to Sunday 24th | $5-$10/trip | A unique opportunity for visitors and residents to explore the Southern Gulf Islands and their unique individual cultures including special events, local music, natural beauty and art with inexpensive all day inter island boat service between Salt Spring, Galiano (hike to Pebble Beach), Mayne (visit Georgina Point Lighthouse or the Japanese Gardens), Saturna (stop by iconic East Point) and the Pender Islands (see picturesque Hope Bay). Shuttle buses will take passengers to local venues including picturesque villages, farmers markets, museums, art galleries and nature trails. An event not to be missed! REVolutionSS | Friday 22nd to Sunday 24th | Farmers Institute: 351 Rainbow Road | $15-$75 | Join us for a fun weekend envisioning and experiencing our renewable electric and energy efficient future. For the weekend a 10-acre heritage location has been booked for camping, education sessions, EV photography, vintage EV poster show, exhibits and fun for both adults and kids. The event offers e-car and e-bike test-drives featuring some of the latest and most innovative vehicles entering the market, industrial drone demonstrations, EV conversions, and Pico Solar for the kids. She Shed Tour | Sunday 24th | 10:00am to 4:00pm | Self Guided Tour | $20 | You are invited to tour Salt Spring’s fascinating backyard She Sheds and hob nob with the creative, funky, skillful, clever women behind these pocket palaces! Island Pathways 30th Anniversary Celebration | Sunday 24th | 10:00am to 2:00pm | Farmers Institute: 351 Rainbow Road | Celebrate the Ganges pathways network with fun activities, a decorated bike helmet contest & parade, and cake! Pitchfork Social: Eilen Jewell | Monday 25th | 7:30pm to 10:30pm | Bullock Lake Farm: 360 Upper Ganges Road | $35 | Eilen Jewell laughs when told her label’s president called her a musicologist. But she confirms she and her husband and bandmate, Jason Beek, have a passion for studying American music. Soak in a sunset! Longer days and shorter nights makes it easy to catch the last few rays of the day (and enjoying the beautiful colours!) - Salt Spring Island has dozens of beach access points to choose from on it's western shores - head over to some of our top choices: Vesuvius Bay Beach, Zach Beach and Arbutus Beach! Art & Nature Fest | Saturday 30th | 3:00pm to 7:00pm | Blackburn Lake Nature Reserve: 265 Blackburn Road | Enjoy an afternoon of performance, picnic & play! Salt Spring Crab Fest | Saturday 30th | 4:00pm to 7:00pm | $40 | Rotary Marine Park, Downtown Ganges | $40 | Join the Salt Spring Island Rotary Club at Rotary Park for the third Annual Crab Fest! Feast on fresh crab and enjoy live music! Canada Day Show & Shine | Sunday 1st | 10:00am to 3:00pm | Rainbow Road at Jackson Avenue | Celebrate Canada's 151st birthday at the 18th Annual Salt Spring Canada Day Show & Shine island style with dozens of beautiful restored cars and bikes, entertainment, food, birthday cake, and fireworks over Ganges Harbour at dusk!